Thor director Kenneth Branagh took part in The Hollywood Reporter's The Hollywood Masters interview series last week, where he spoke about his experience working with Marvel and teased the possibility of returning to direct yet another MCU movie. Here's what he had to say to the crowd at Loyola Marymount University School of Film & Television in Los Angeles last week. "Yeah, I mean what I found was that I just enjoyed the process of working with those people and I loved the boys and the girl. The girls as well. It was great. So that was fun. But it was a long time and they were way too quick for me to get straight back into another single sort of story in terms of working on it at that time, so who knows. Who knows. It was a pleasurable experience and a film I'm very proud of and one I was very lucky to be able to make and did me a lot of good from which I learned an incredible amount, so I'm very grateful to them." The director added that he didn't come back to direct the Thor sequel Thor: The Dark World because they wanted him to come back too quickly. "It was a long time [making the first film] and they were way too quick for me to get straight back into another. [But] it was a pleasurable experience and a film I'm very proud of." He also spoke about Marvel's Kevin Feige and how he knew that Chris Hemsworth and Tom Hiddleston were the right actors to play Thor and Loki. "Kevin is a muller, he goes away and he thinks. When we came to cast the two boys, Chris Hemsworth and Tom Hiddleston, that was a long process. And even on the morning in which we made the calls, we came in, and I remember Kevin wandering around this tiny little conference table. It's just me and him and one of the executives on that Saturday morning. I'd already booked a call to Hemsworth and to Hiddleston - and he still wasn't sure whether we were going to go with this. I kept saying, 'It's these guys. It is these two guys. Chris Hemsworth is Thor. Tom Hiddleston is Loki. You're going to be OK.' And he knew it. We made the call and it was lovely, but it takes a long time to do it. Working with Kevin is very, very enjoyable. I regard him as a very, very dear friend, [but] that process is very unusual." 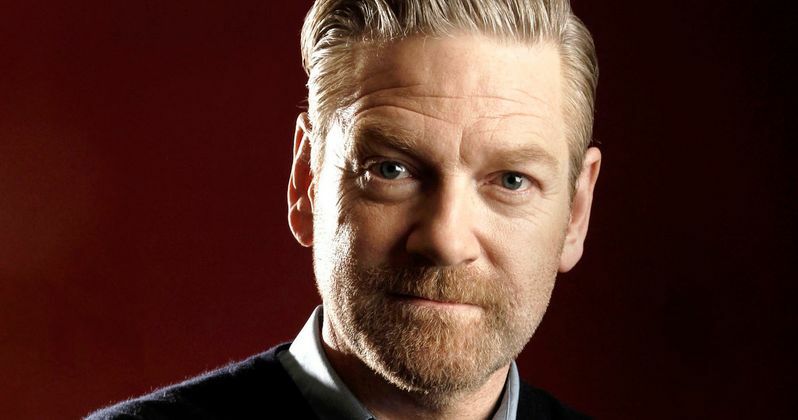 Would you like to see Kenneth Branagh return to direct another movie in the Marvel Cinematic Universe? The third Thor adventure, Thor: Ragnarok, does not have a director attached yet, so it's possible that he could come back for this adventure. Chime in with your thoughts below.